Posted on June 12, 2017 | Posted in General News. We now offer a simple solution to refresh the appearance of your tired and worn tarmac drive without any extensive ground work. Over time, tarmac will start to loose its colour, turning grey and looking exhausted. 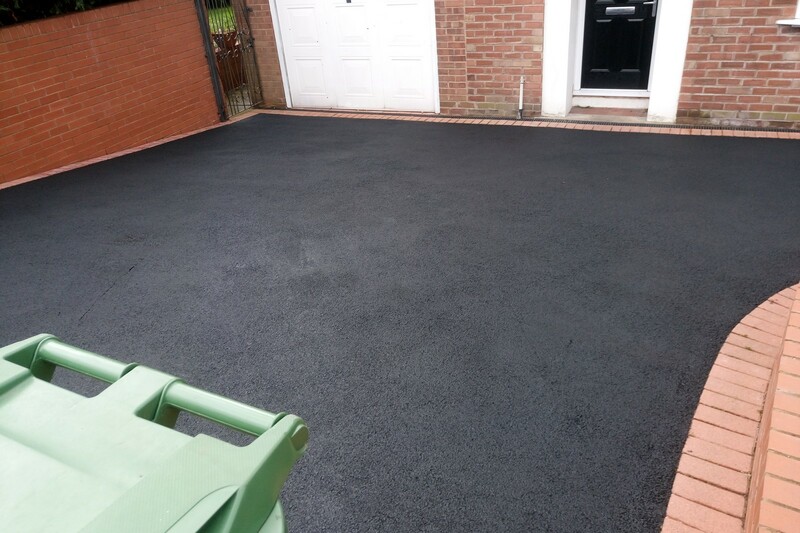 This is where our tarmac seal will return the look of your driveway back to its former glory. We a apply a sealant, specially designed for tarmac, which will give a rich, dark, uniform finish to your driveway totally restoring any colour loss. It will cover stains, spills and even help blend in repair patches. This durable sealant is long lasting, stain resistant and makes future maintenance much easier.